Phebe Gribble is the HIV Prevention Programme Manager for TB HIV Care. She provides oversight to the HIV prevention programme and supervises the site managers in each of the districts in which the organisation operates. She develops workplans to align the HIV prevention programme’s targets to South Africa’s National Strategic Plan for HIV/AIDS, STIs and TB and provides periodic reports to funders. Phebe is a public health practitioner with more than 26 years of experience in clinical practice and research. She is a registered nurse with diplomas in general nursing, midwifery and community nursing science. 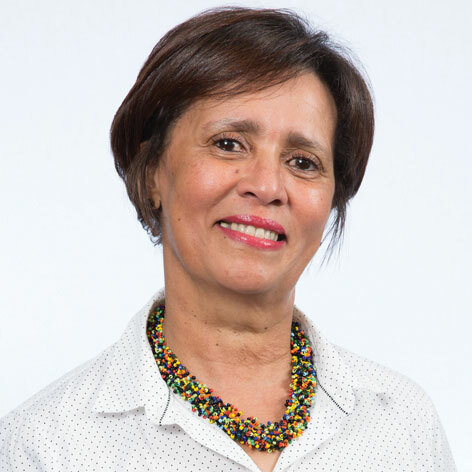 After joining a dynamic research team in the Women’s Health Research Unit at the University of Cape Town conducting research projects on women’s health, Phebe completed a master of public health. She was then awarded a prestigious Hubert H. Humphrey fellowship at the Rollins School of Public Health, Emory University, Atlanta, USA, where she further developed her interest in HIV/AIDS and reproductive health and providing technical support to nongovernmental organizations in qualitative research methodology.